Reine Paradis constructs narrative photographs staging herself as the central figure in a surreal landscape. 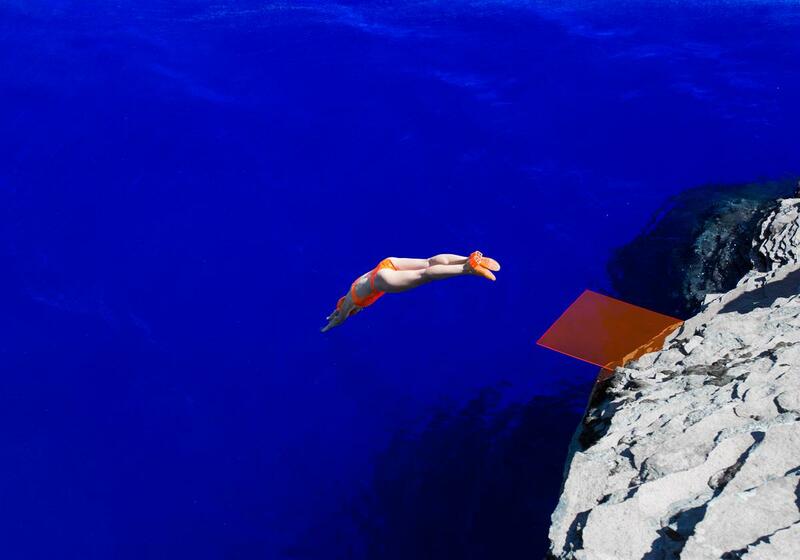 Paradis is dressed in orange in her images and is shown interacting in color filled landscapes. Shot in many locations throughout America, the photo series "Jungle" takes us on an introspective journey across a symbolic and chromatic world, projected above the limit of reality and imagination. ​All the scenes are imagined and conceptualized before shooting in real locations. Once the scene is visualized in it’s entirety, Paradis makes sketches and paints the scene to use as a blue print when photographing the final scene. All the costumes, accessories and origamis are meticulously designed and prepared according to the initial vision of the scene. Each scene is an adventure and a story in and of itself. She lives and works in California.